Introduction: Just when I thought it was safe to start writing up the Vision OneTen Plus 1 and Vision OneTen Magnum, Megabass decides to let lose yet another version of their top selling jerkbait. We saw this bait at ICAST 2012, but it wasn't quite ready yet, but we recently received a shipment of these baits and had a chance for a brief test out on the water. 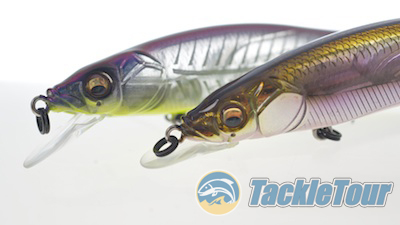 We're so excited about the possibilities, we wanted to make you aware of these baits right now. 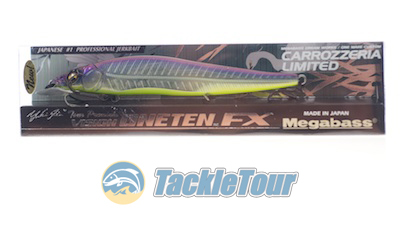 Vision ONETEN FX: The Vision OneTen FX is a new class of bait for Megabass. It features a technology debuted two years ago on their FX9 jerkbait. They call it their Variable Resistance Flap-Bill. It is a patent pending technology that allows the bill to tuck flat, and inline with the body during a cast. 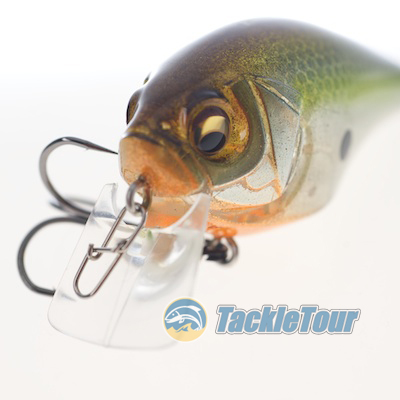 When the lure hits the water, the lip extends back down into a traditional position. Introducing the Vision ONETEN FX. Now the claims by Megabass are that they experienced increased casting distances of up to twenty percent! Whenever a manufacturer makes claims such as this, you know we're going to put it to the test and that's exactly what we did. At first glance, this bait appears the same as the original 110. As part of our typical routine, Zander and I were prepared to hit the water for a day of testing so I brought several of these baits along. I backed the boat down into the water with Zander in the boat and by the time I returned from parking the car, he was already into my bag checking out what brought! He zeroed right in on the new OneTen FX baits and was already eyeing which rod to tie one onto! But a closer look reveals the front lip is flexible! Of course, that's not all tht was new in my bag. I also brought along some Deep-Six and Knuckle 60 baits for a quick look and played around with these baits as Zander was busy busting up my OneTen FX on fourteen inch striper. The new Knuckle 60 has a two position lip. 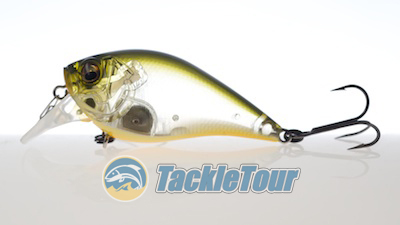 The Knuckle 60 is another bait similar to the OneTen FX featuring a flexible bill, but this square billed crank is a bit like the X-Pod too in that the bill locks into one of two positions. In other words, it doesn't tuck out of the way like the OneTen FX's bill. 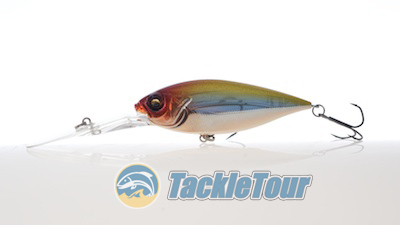 There are two positions for the Knuckle 60's bill that turn it from a shallow, wake type bait to one that dives down to roughly four or five feet. In either case, we noticed it has a good, wide wobble in the water. 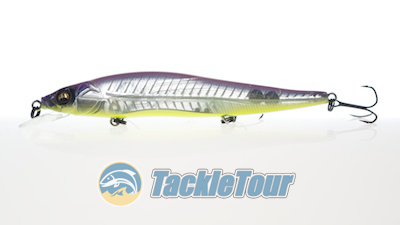 We're going to stock up on these baits and report back our more detailed findings. Depending on how you adjust makes it dive from 0-1 feet or 1-5 feet. The Deep-Six takes over from the Deep-300X as Megabass's deepest diving crank. It is a bait Yuki Ito designed to run to depths of six meters, that's more than twenty feet in imperial units. I threw this bait out on both an Evergreen Super Stallion Valiant and Megabass Super Red Demon as part of those two rods' tests, and it really got down quickly. Zander said his meter up front was reading about twenty two feet but I was casting towards the shore so the bottom I was hitting was less than that. Regardless, this bait feels like it finally delivers on the promise of a JDM style bait with deep diving capability. The new Deep-Six was Yuki Ito's pet project building a crank that will dive to six meters. Conclusion: We'll get into more detail about the Vision OneTen FX, Knuckle 60, and Deep-Six, but based on our preliminary trip with these baits, all three seem rather promising. The one thing we say right now about the OneTen FX is that it certainly casts straighter than the original, the action seems to be about the same, and maybe this new, flexible lip will help with impact damage as we've been hearing some complaints about bill breakage over the last couple of years.